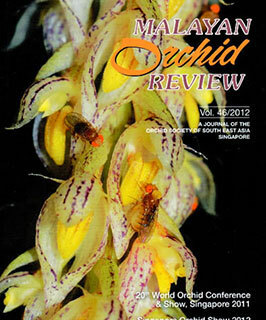 Oberonia calcarea – a new Malaysian species. The undeservingly neglected Bromheadia finlaysoniana. A Tour of OSSEA’s Facebook. Hybrids of Paraphalaenopsis laycockii. An excursion to Vietnam. 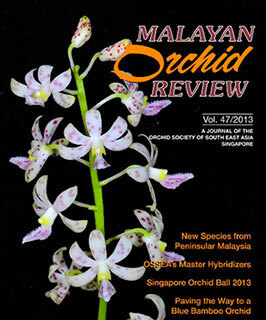 Orchid collectors in Malaysia and Singapore. OSSEA’s HortPark garden. The Holttum orchids, and the need for conservation of heritage plants. 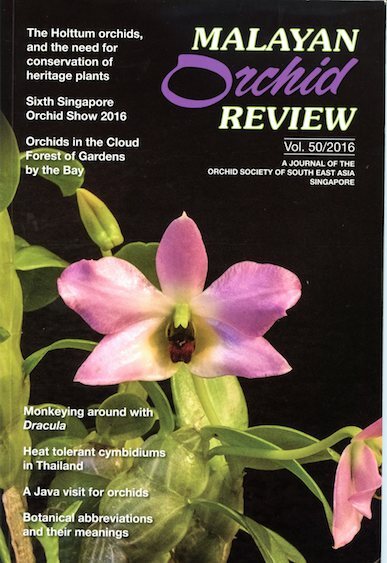 Sixth Singapore Orchid Show 2016. Orchids in the Cloud Forest of Gardens by the Bay. Monkeying around with Dracula. Heat tolerant cymbidiums in Thailand. 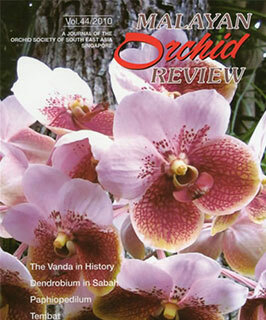 A Java visit for orchids. Botanical abbreviations and their meanings. 50 years of hybridising in Singapore. 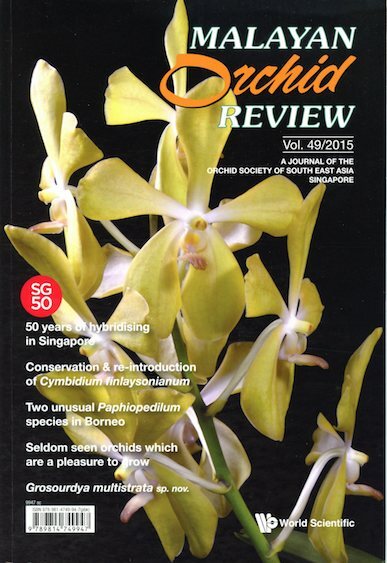 Conservation & re-introduction of Cymbidium finlaysonianum. Two unusual Paphiopedilum species in Borneo. Seldom seen orchids which are a pleasure to grow. Grosourdya multistrata sp. 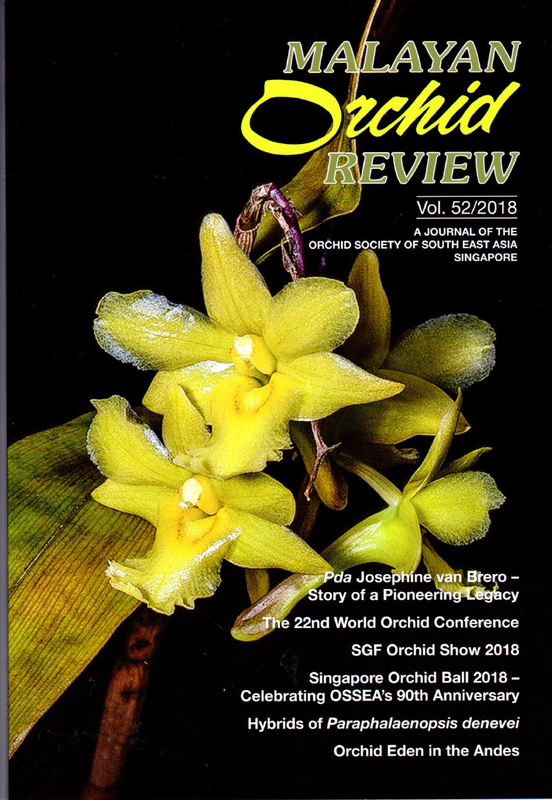 nov.
21st World Orchid Conference. Singapore Orchid Show 2014. Paphiopedilum tigrinum. 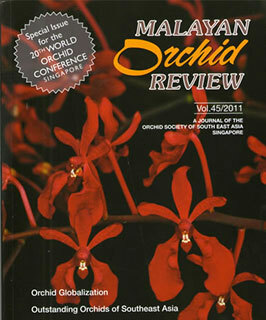 Conservation of Native Singapore Orchids. A Beginner’s Guide to Orchid Identification. Orchid Globalization. 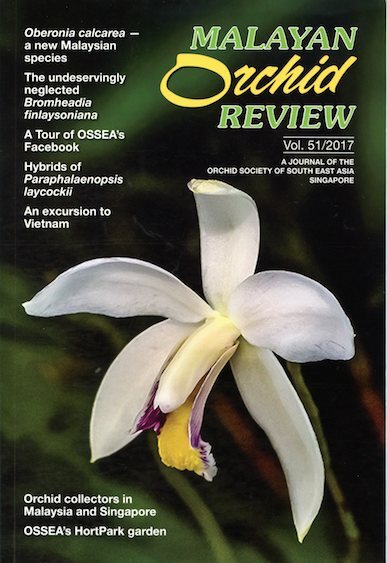 Outstanding Orchids of Southeast Asia. Small Jewels from China. The Vandas of South India. Medicinal Orchids. The Vanda in History. 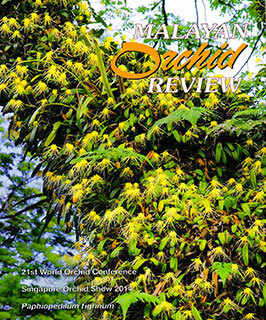 Dendrobium in Sabah. Paphiopedilum. Tembat. The Ubiquitous Pigeon Orchid.